How About a Heather Ross Fabric Giveaway?? 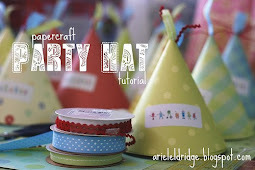 Craft Day with the Girls & More GIVEAWAYS! One month late, but here it is...the Pop Garden Quilt for my momma's birthday :) I'm very excited to see it finished. So much hard work and a lot learned on this quilt. My free-motion quilting skills have improved and I am getting more creative with making up my own patterns. Y'all, it was a good day...a visit from my momma, I finally finished quilting the Pop Garden Quilt, and we have a contest winner! I used Random.org and #39 is our winner of the Heather Ross fat quarter set, courtesy of Down Shadow Lane. #39.....Barbara Myltschenko said: Wow what a great and generous giveaway! 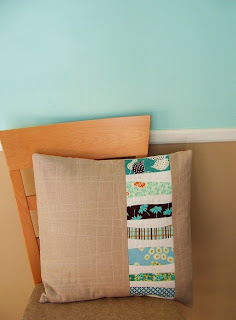 I love the Fat Quarter Bundle of 4 - Amy Butler Mix in Lime - Olive - Camel - Lime in her store. I might have to go back and pick it up! 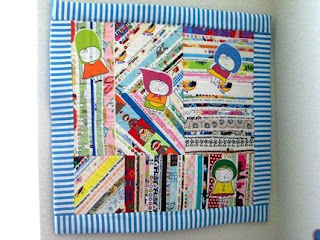 Barbara has a very cute blog on quilting and sewing...check it out! Look for an email from me soon, Barbara...Congratulations! Thank you to all who entered and check back again for more fun! We live a bit out of town, where it takes a good 30 minutes to get to Jo-Ann's or even, dare I say it, Wal-Mart. I was at my wit's end of stinkin' up the place with my free-motion mess, so I decided to drive to Avon to visit the nearest Janome dealer. Avon Quiltery was very kind to host me for an hour of free assistance and advice. I learned a lot in that one little session (as well as a free needle because I'm sure they felt sorry for me...walking in without a needle to my name). I also learned that it may be close to time for my little Janome "Jane" 415 to retire from free-motion and become my "piecing and straight sewing machine". I have my eye on a Bernina for the future (don't tell Jane...let me break it to her gently) but need to earn a little extra $$$ to justify its place in our house. My question for you is: What is your machine's name and how is he (or she) workin' for you?? Any recommendations for a good machine to mainly be used for piecing and quilting, but not necessarily a whole bunch of fancy stitches or embroidery?? As always, I love your input! HEATHER ROSS FABRIC GIVEAWAY ends Sunday at midnight! Haven't entered? Go HERE. 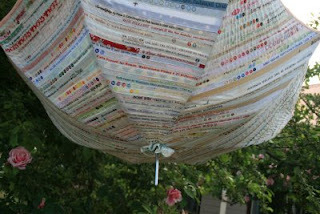 I just registered to participate in the Quilting Gallery's Spring Inspired Mini Quilt Swap. If you're interested in participating too, go HERE. There is also a link to the swap in my sidebar. From what I've experienced so far, swaps are a really fun way to exchange your creativity for someone else's. I love the idea of getting to keep a piece that was created by a mind completely different from my own. It's fun to see what others come up with and how they think. 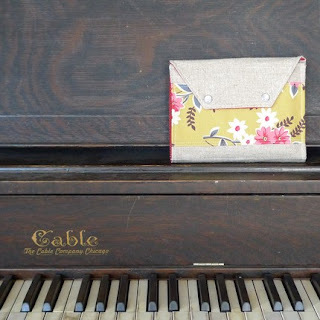 The mini quilt swap sounds like a great way to share your favorites with a quilter you may have never met, and see what they create just for you. So, I'll get off my soapbox for now and let you explore! 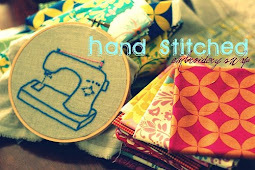 P.S...Don't forget to enter the Giveaway for 5 Heather Ross fat quarters from Down Shadow Lane's fabric store! Go HERE. 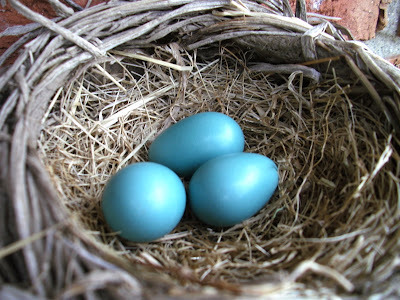 Now we all know why Crayola has a "robin egg blue" crayon in the box of 64! 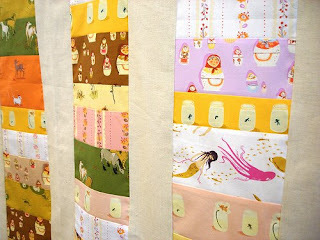 Don't you just love all the Heather Ross prints in this coin quilt above? Don't forget to enter my giveaway, sponsored by Down Shadow Lane, for 5 fat quarters of Heather Ross! Go HERE to enter by midnight on Sunday, April 26th. There is finally a home for my pins. I've been sewing for years and you may recall my earlier post about not owning a pincushion. That's ridiculous. So, I shopped for a long time for a pincushion to meet my needs and expectations. I must be quirky, because it's just a stuffed pillow for your pins, right? It doesn't really have to be anything fancy, right? 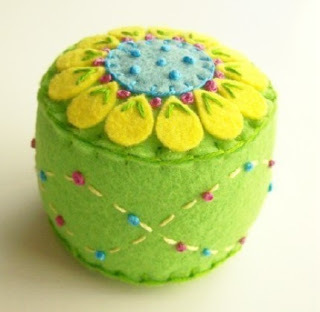 I shopped and looked for a large pincushion with pizazz. I just wanted something as bright and unique as the fabrics I love. There are lots of little ones out there, but I wanted a honker. So, I broke down and made one today while T was napping. I used pieced 3" strips of Anna Maria Horner Good Folks, cut into two 8" circles. It's certainly full of pizazz...and it's a biggin'...I don't know if it's the loveliest cushion of all time, but I'm happy my pins finally have a home. And, if you haven't entered my latest giveaway...go HERE. 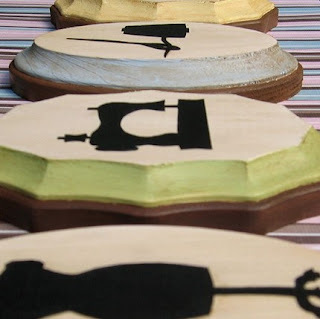 Down Shadow Lane Fabrics is sponsoring 5 Fat Quaters from Heather Ross' West Hill Collection! There are thousands of places you could buy fabric online. Today, I want to share a wonderful etsy fabric shop with you that I have found to be very timely, well-priced, AND very friendly. "I started out sewing when I moved to a small farm which was located about 20 minutes from town and I had just had my 3rd baby. We would stay home all the time and I decided to hire a girl from my church to teach me to sew. It went really good but I found quilting to be a little easier (because most of my quilts only had to have a straight line stitch) so I began with small quilts. I was able to make a few quilts and I also fell in love with hand quilting (it was very relaxing). From there I started making handbags and sold those to friends and at little Christmas shows in town. I found etsy and put a few of my bags on there and loved it. But I found that I enjoyed finding the fabrics a little more than making the handbags. That's when I started Down Shadow Lane fabrics on etsy. The first year was a little slow but after that it just took off. I love to find a great new print! I really love etsy because you get to meet so many different people from all over. I am very blessed to have a wonderful husband who supported all my many different hobbies before I was able to pay for them myself. We have been very impressed with etsy and the low cost of running my shop on there. I am able to offer the fabrics at a much lower price because the fees are lower than other sites. We are in the process of adding onto our house so I can have a bigger sewing/fabric room and I am very excited! I love to sew, knit, crochet, cross stitch and I love to make jewelry (I love the beads). I am a stay at home mom to 3 wonderful kids ages 12, 10, and 6. I am really excited to get my 10 year old daughter into the business with me one day. She loves fabric and crafts too." 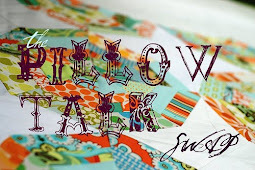 Down Shadow Lane is generously sponsoring a Heather Ross Fabric Giveaway!!! 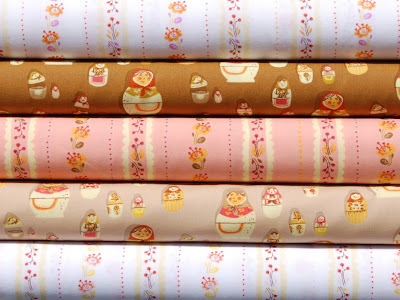 One lucky reader will be randomly selected to receive a fat quarter bundle of 5 cutie fabrics from Heather Ross' West Hill collection. 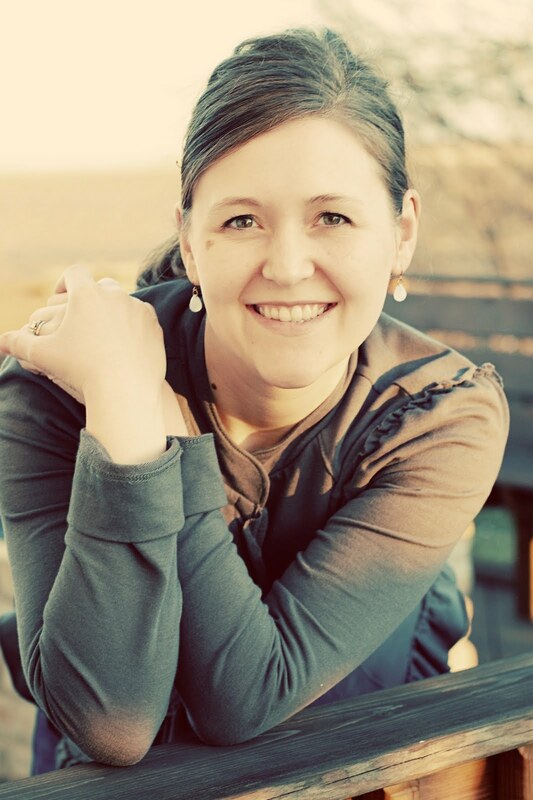 As you may already know, Heather Ross is on a freeze from coming out with new quilter's cotton collections for the time being, so her fabrics are getting harder to find. If you're a Heather Ross fan too, you'll want to check out the other prints in her collections at Down Shadow Lane! 1. Visit Down Shadow Lane and come back and tell us about your favorite item in her shop. 2. Blog or Tweet about this giveaway and comment with your link. 3. Purchase an item from her shop and come back to leave a comment. Best of luck!!! I will close comments at midnight on Sunday, April 26th. I finished the pieced backing and top of my Pop Garden Quilt and got it sandwiched. I started some stippling and started having trouble with the thread tension again! Here it is, sitting at my sewing machine....and I am not. I'll try again tomorrow. There's just only so much time you can spend with your seam ripper before you feel like you're on the verge of needing a psychiatrist, amen!??? While I was out, my hubby decided to take T for a haircut. His hair has been growing for quite a while now and is beautifully curly. We were out one day and a woman called him a girl, so that was it for my husband. I tried to plead my case for the curls, and was almost in tears when I returned home to an unfamiliar looking kiddo, but I got over it quickly...he looks so handsome! I visited Clementine's Dry Goods on Saturday. I love little privately-owned shops. She had some polkadots and stripes from Heather Ross' Lightning Bugs and Other Mysteries left at 75% off. It ended up being around $2.50 per yard or something crazy! See...I told you to go visit this shop! She also gives a free yard for every 10 you purchase at reg. price. I earned my free yard and she let me select quarter yards....here's what I had to have. And my favorite Anna Maria Horner Good Folks print. Okay, you all will want to head over to Soule Mama and enter to win a beautiful personalized family tree by Sarah Jane Studios. I just blogged and raved about the one I ordered for Titus...here is your chance to win one! Also part of the giveaway are sets of Sarah Jane's precious cards and envelopes. I'm making this posting brief, so you can get over there already!!! I was so excited to receive my order from Sarah Jane Studios. I was most anxious to see the personalized family tree in vintage summer colors. 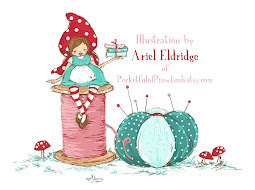 If you haven't visited Sarah Jane's blog or etsy store, you simply must! Every home needs one of her precious family trees. And once you have one of those, you'll need some of her other prints to go with it! They are archival and printed on some of the nicest high-quality paper you'll ever feel. I'm in love! I was also excited to learn that I was chosen as the winner of a giveaway at Quilting on a Budget. Joan sent me a lovely gift of organizational tools for my sewing room (which is actually my dining room table right now, and I can use all the organizational tools I can get!). 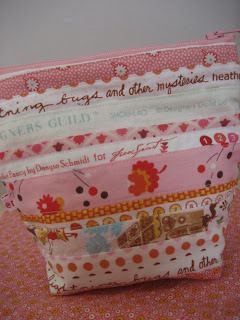 It includes the neatest quilt bag to use for storing your quilts or giving as a quilt gift bag. It even has a label window. Also included, was a vinyl basket with pockets for scissors and rules, etc. as well as a bobbin box. Thanks, Joan!! I finished Titus' coin quilt today and am so pleased. Even after all the frustration of learning to free-motion quilt, it feels great to have stuck with it and finished. Thank you all for your sweet comments and great advice about my thread tension struggles! I love having a wealth of knowledge out here in blog land...you all are such smart tarts! It is increadibly cold and windy here in Indiana today. Yuck. Please excuse my "windy photos"...these were the best I could get and I couldn't wait until tomorrow to show you! Can't you just hear the wind and feel the "brrrrrr"....??? I love how just washing it once can make it crinkle up! And isn't this REALLY what quilts are for??? Selvage wall hanging by Kathi's Kreations. 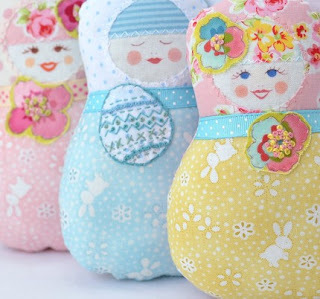 Scandinavian Matryoshka Art Doll for Easter by Ravenhill. 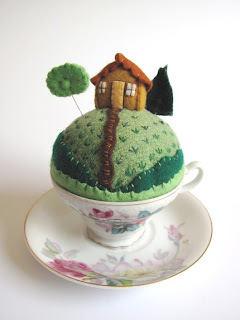 "Tiny World Pincushion" by Mimi Kirchner. Sewing Room Silhouettes by Dirty Pretty Things...April Special: take 20% off original artwork from this shop! 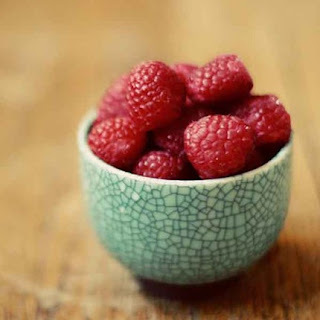 Rasperries on Turquoise by Tea and Brie Photography...so fresh and gorgeous! When Little T is sleeping, I have time to do my sewing. Tonight, I whipped up some fancy shmancy burp cloths for my cousin, who is expecting a sweet little boy this month. We'll be having a shower for her when we all get together for Easter, so I needed to think of something quick. This is also an inexpensive, but special gift to make and give. 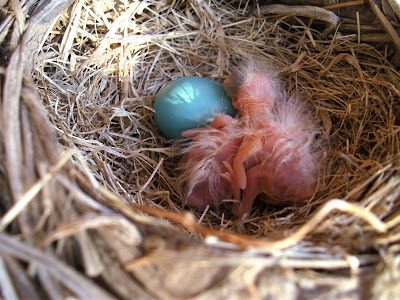 Here is a little step-by-step (oooooh, baby!....remember New Kids on the Block? ?...okay, that's my generation). I purchased my cloths as a pack of 12 for $12 at Wal-Mart. They are Gerber, 3-ply cloth diapers (tri-fold). I used fabric that was left over from Titus' quilt. I would say that 1/4 yard would be plenty to give you two cloths, maybe four, depending on how wide you cut. If you want several colors, you might go the fat 1/8 route for each print. It's a great idea to pre-wash the cloth diapers and your fabric, and make sure to dry the diapers in the dryer to pre-shrink them. Mine pilled quite a bit, so if you have a trick to fix that, fill me in! Cut a piece of fabric that is about 1.5-2" longer than the cloth on each end and wider on each side by about 3/4". Turn the fabric so that right side is down and fold the ends about 1/4" from the edge of the cloth. Press with your iron. Fold the sides along the edge of the thickest middle section of the cloth diaper and press. Flip the fabric over and pin to the thicker middle section of the cloth diaper. To sew, set your machine to the zigzag stitch, keeping the stitches on the smaller side. You may want to practice on a scrap to make sure you get what you want. To begin stitching, you'll line your cloth up so that the zigzag stitch catches the edge of the fabric, as well as the cloth diaper. To turn a corner, set your needle to the down position, lift the presser foot, and pivot the cloth. These will likely be loved on and washed quite a bit, so make sure to back stitch well when you begin and end your sewing.